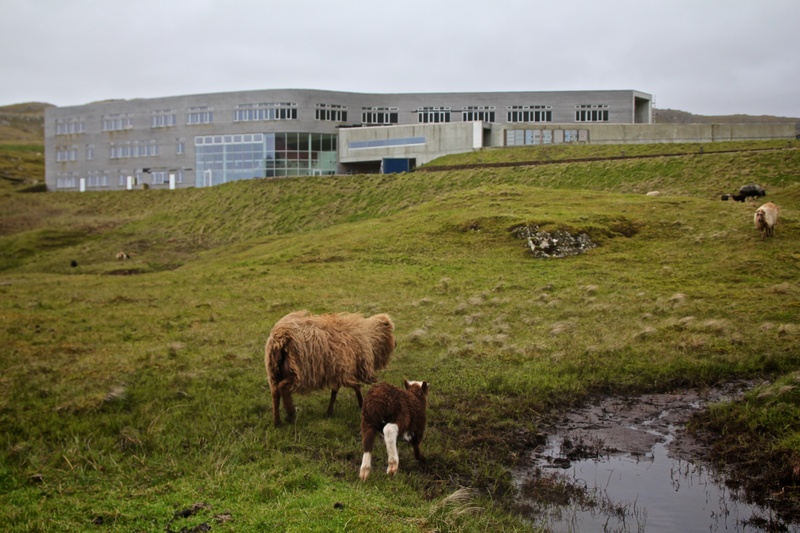 Sheep graze beside Skúladepilin í Suðuroy, which serves as the island’s high school and a school for health professionals. The school opened in 2009 and has been a rare new construction on an island that continues to experience population loss. 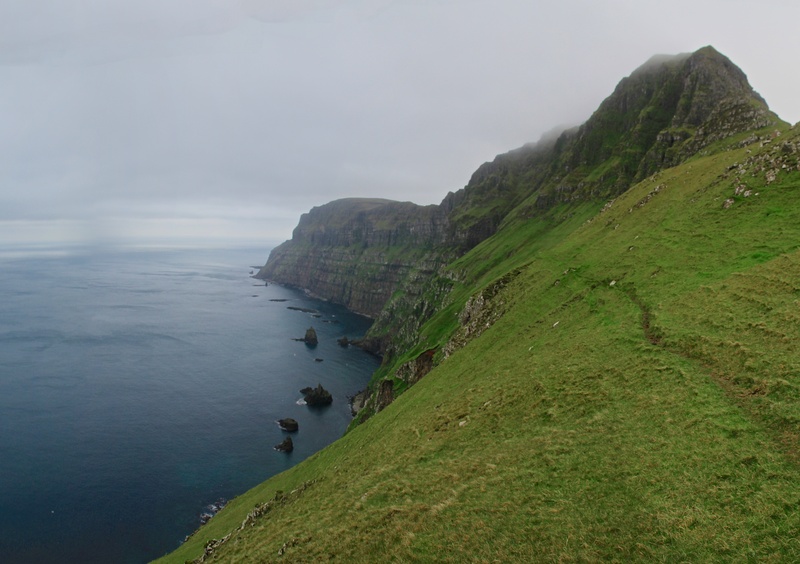 I spent my first weekend in the Faroe Islands on the island of Suðuroy, the southernmost island in the Faroe Islands. Suðuroy interests me because it is on track to become the only large island not connected to the others by undersea tunnel. Getting to Suðuroy still entails, and may always entail, a helicopter or a two-hour ferry ride. Largely due to its isolation, Suðuroy has been losing population for several years and has now fallen below 5,000 inhabitants. I went to Suðuroy for the 70th birthday party of a relative of my host family. I was also able to visit a small local festival in honor of a 130-year-old fishing boat and go out to the local pub one evening. It was great to have such an intimate look at the island’s special culture. 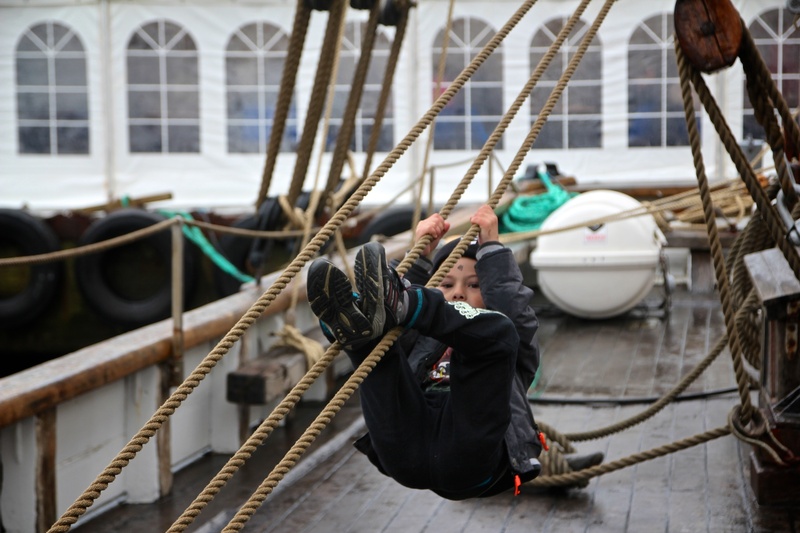 Vágur: A child plays on the Johanna TG 326 during the celebration of the boat’s 130th birthday. 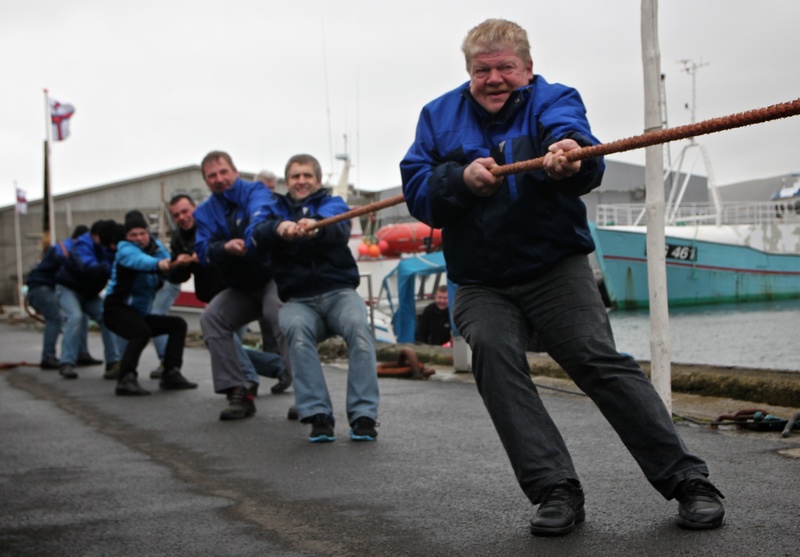 Tug of War is serious business at a boat’s birthday party in the village of Vágur on Suðuroy. 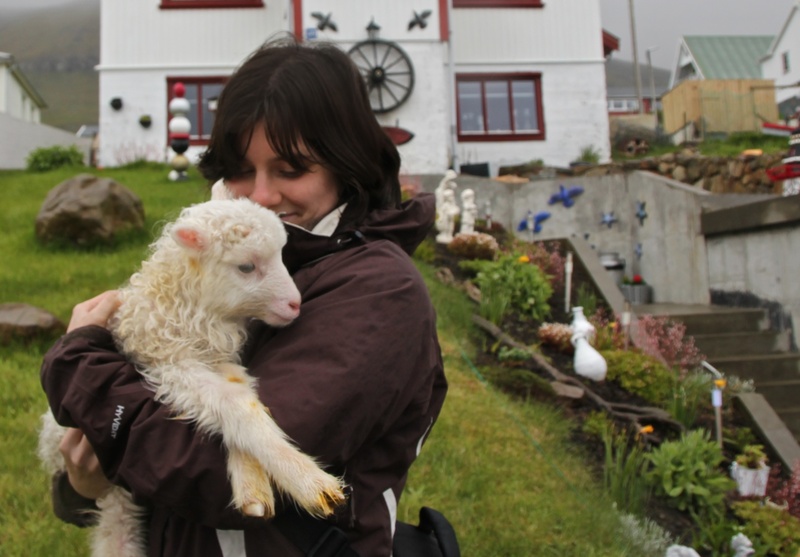 Tvøroyri: Holding a heimalamb, a lamb raised at the farmer’s home because its mother didn’t want it. Cute, right? 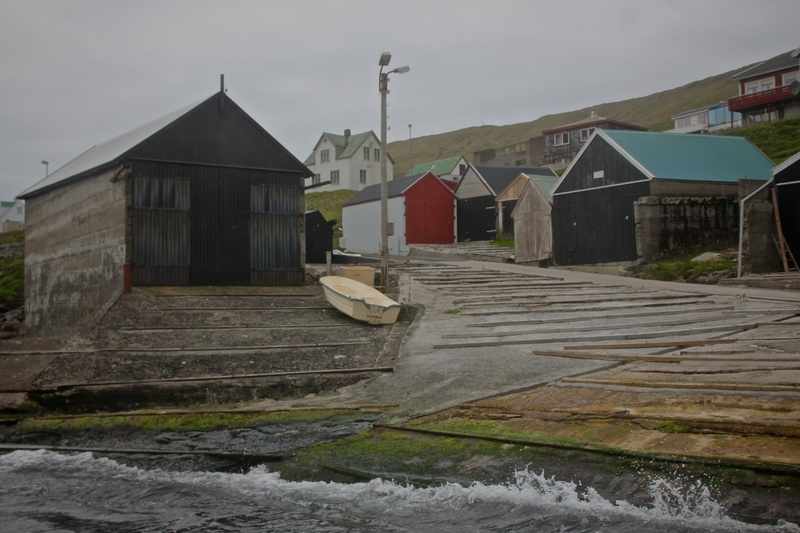 People from Suðuroy have a distinctive accent and are known for being loud, friendly, and a little bit provincial. In my experience, the first two were definitely true. As for the third, well, I can only relate that when I went to a gas station and asked to use the bathroom, they answered “Yes, of course, if you don’t mind going down some stairs…” and promptly opened a trapdoor with a ladder leading to a toilet in the basement! 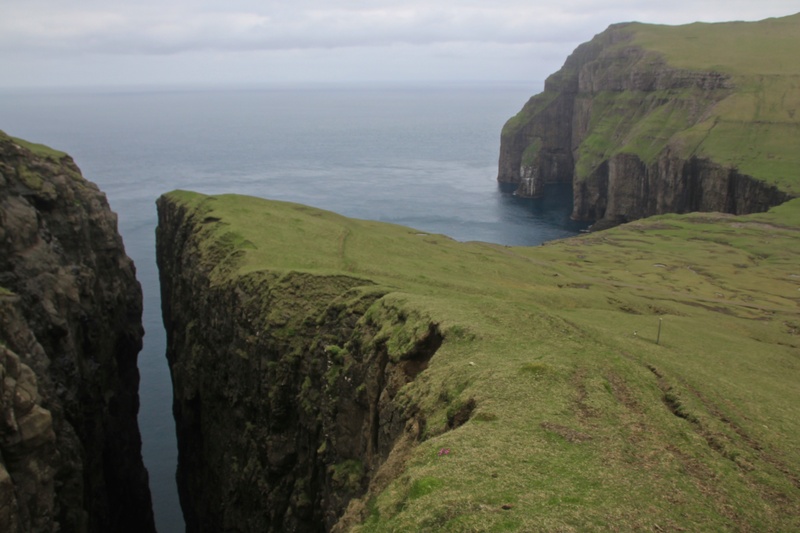 Suðuroy’s nature is a little different than that in the rest of the Faroe Islands. To my eyes, there are fewer mountain peaks and more sheer seaside cliffs. Suðuroy is the only one of the Faroe Islands to have had coal mines, one of which is still active. Basalt rock formations can be seen in several places, and the waters around Suðuroy wash no fewer than 262 islets and skerries. In addition to the picturesque villages, visitors often come to Suðuroy to visit its caves or the scenic point at Eggjarnar, from which there are astonishing views of sea-cliffs both north and south. The sea-cliff view from Røðin. 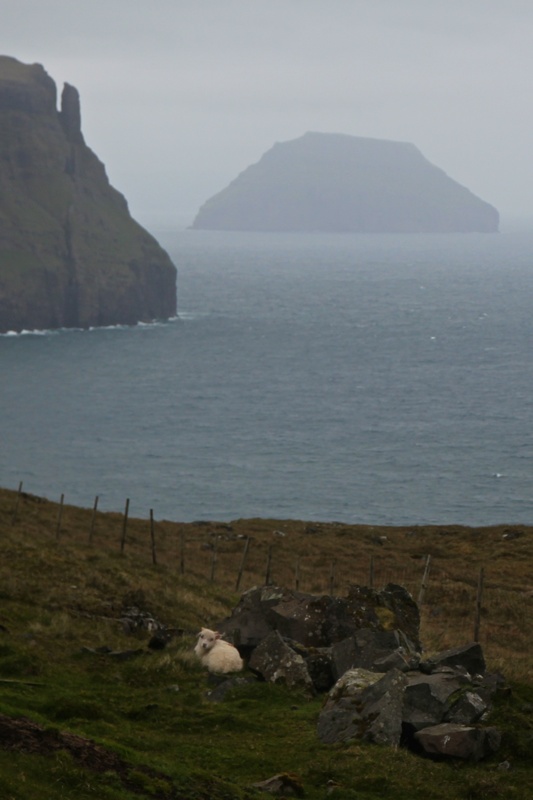 A lamb sleeps on Suðuroy, in view of seacliffs and the island of Lítla Dímun. Tvørgjógv and Ásmundarstakkur in the north of Suðuroy. Hálsgjógv and tidal pools near Tvøroyri. Sandvík, the northernmost village on Suðuroy and the spot where saga hero Sigmundur washed up from the sea to meet his death. I hope to return to Suðuroy during the course of my project. The island is of great touristic interest for its lovely, unique nature and the way it represents a throwback to life in the Faroes before undersea tunnels connected “the Faroese mainland.” In addition, Suðuroy is still home to about a tenth of the Faroese population, and, as I know some people there now, I think it will be a good place to get to understand the lives and perspectives of the women living in more remote parts of the Faroe Islands. This weekend was a good first visit and I look forward to returning. 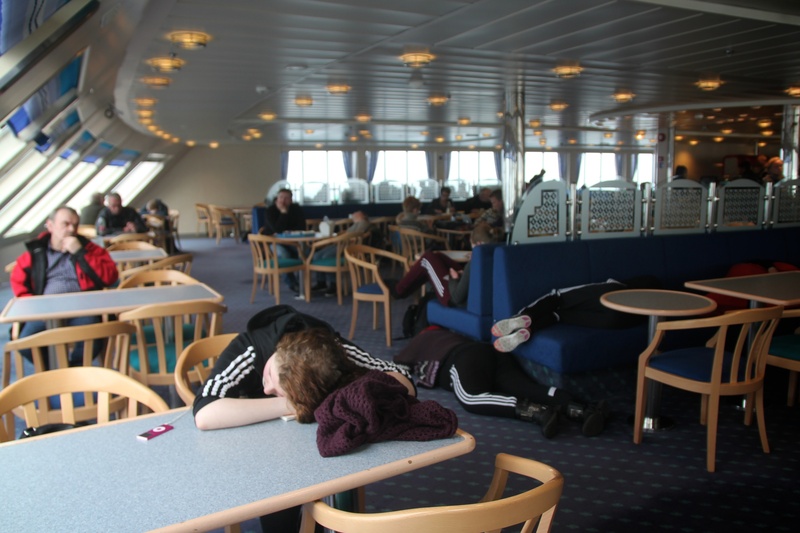 Passengers doze off on Smyril, the two-hour ferry that connects Suðuroy to Tórshavn. 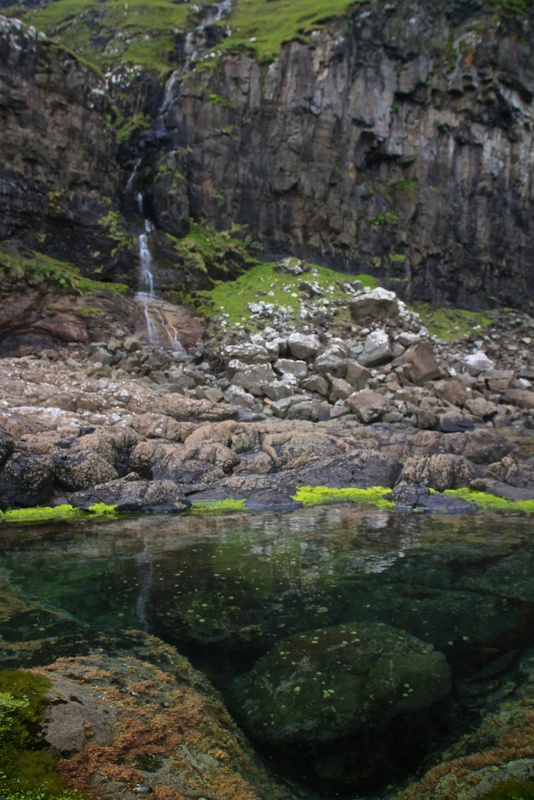 This entry was posted in Culture, Faroe Islands, Nature and tagged Faroe Islands, Suðuroy, Travel on June 3, 2014 by Miranda Metheny. You’re always welcome back to Suðuroy! Jóansøka is a good time for it – have you watched the rowing competition yet? Other times are, of course, also good, although maybe not as happening. Oh, that would be so cool! 🙂 I am hoping to come back to Suðuroy at least once. Maybe I can plan it that way. Thanks for visiting and commenting!